Just when the stocks recovered most of their recent big losses on fresh investors' optimism, oil complex returned to an earlier stance, worries about supply glut. In addition, Saudi Arabia Oil Minister Ali al-Naimi reiterated his country's policy to maintain output. Consequently, the WTI crude resumed its slump, losing $1.03 yesterday to $55.13 per barrel. In the face of a higher US dollar, gold prices rebounded $9.2 to $1,198 on reports of increased physical demand from Asia. There were also reports that refineries in Switzerland are overwhelmed by demand from Asia. A significant surge in equities spilled over into the energy complex as the WTI crude prices rebounded $0.43 to $56.13 per barrel yesterday despite a stronger dollar. Meanwhile the US Department of Energy released its weekly oil inventories indicating a smaller than expected loss (-0.8m barrels vs -2.6m barrels). 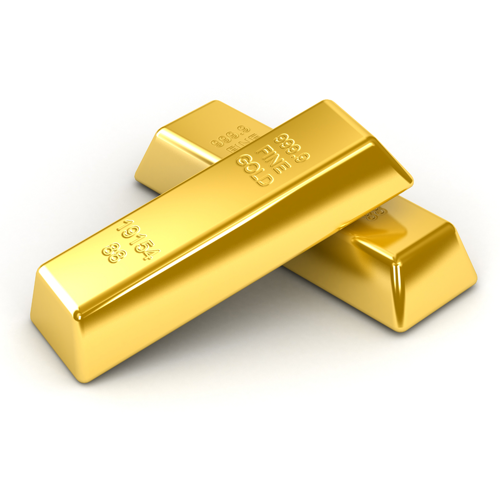 A stronger dollar coupled with the outlook for US interest rates have pushed gold prices $6.2 lower to $1,188.6. On top of that, there was speculation that Russia might be forced to sell its gold reserves to prop up its currency. We saw another dead cat bounce in WTI yesterday as the market rebounded $0.11 to $55.51 per barrel following the steep tumble of more than $20 since late November. Unfortunately, the break was short-lived as crude resumed its fall in overnight trading. Later today, the US will release its stockpiles figures and the consensus suggests that there will be a 2.6 million barrel draw in oil inventories. Given that Russia is facing huge challenges from the collapse in oil prices and the ruble, the market has started to speculate that the country could default on its debts. With that being the case, one might expect rising demand for gold as a hedge against times of turmoil. However, we are still faced with the possibility that the Fed could move to hike rates sooner rather than later, which is almost seen as a 'game over' scenario for the precious metal. The conflicting elements meant that gold prices took a breather yesterday, ending flat at $1,194.5. The United Arab Emirates Energy Minister Al Mazrouei did not make things easier yesterday by saying that OPEC will not cut production even if oil prices fall to $40. This was another indication of the 'dog eat dog' attitude for market share that we are seeing in the Middle East at the moment. Consequently, the energy complex took another hit, with Nymex crude by dropping $1.21 to $55.42 per barrel. Although the trend from early November remains higher, gold prices posted a steep plunge yesterday, losing $28.1 to close at $1,193. Ahead of the FOMC meeting, the move was driven by concerns that interest rates will be hiked sooner than expected, hurting demand for the precious metal as an alternative asset. Showing no signs of stopping, WTI crude extended its losses below the $58 mark, plunging another $1.45 per barrel. It appears the energy complex is being hit left, right and centre: slumping demand, plentiful oil supplies, OPEC refusing to cut output and now the International Energy Agency reducing its global demand forecast for the fourth time in 5 months. Ahead of the last Federal Reserve meeting of 2014, gold prices lost $5.6 to $1,221.3 as investors expected a reiteration of the pledge to keep interest rates low for a 'considerable time'. The precious metal is still under pressure this early morning, having slumped below the $1,220 level.